Well, what can I say. I have visited quite a few hotels in the Seychelles, but The Four Seasons is by far THE hotel on the island. 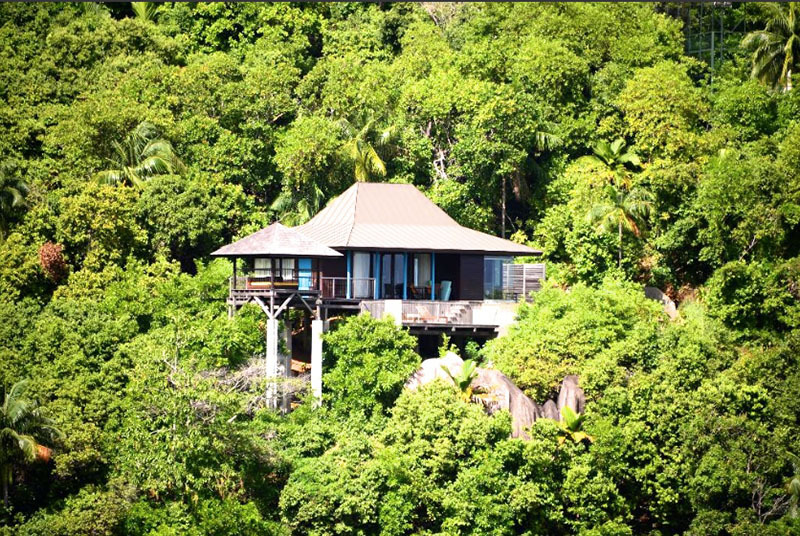 A truly luxurious hillside beach retreat so beautifully designed that it will sweep you off your feet from the moment you enter your tree house villa overlooking the mountains and the private beach bay of Petite Anse. 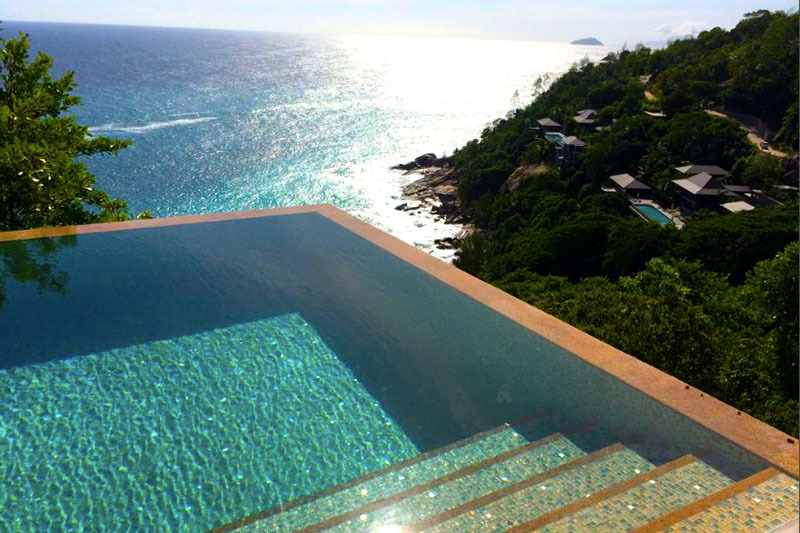 The 67 villas in creole design offer infinity pools, glass walled bathrooms and an outdoor lounge. To experience the ultimate in pampering, treat yourself to one of the massages or body treatments at the Spa. They use amazing herbs and spices to relax and fill the senses. From lemongrass and cinnamon, to pineapple and orange blossom. It is that one of a kind James Bond get away resort where you have to pinch yourself a few times to actually believe what you are seeing is reality. 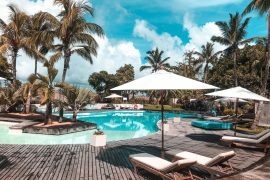 Perfect for honeymooners or couples who are looking for deep relaxation and privacy but at the same time like to be on an island where its possible to do some activities and get around. Still I have to admit, you are very tempted to not leave this property at all because life there just feels as if it can not get any better.